Through antigen-antibody reactions, SelexOn screens for diseases by extracting markers created by cardiac disorders, thyroid conditions, cancer and infectious diseases. 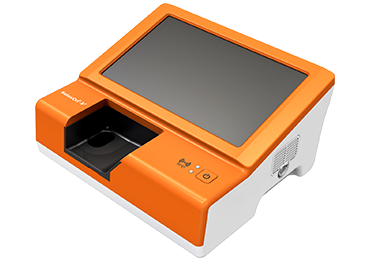 A POCT immunosensor based on antigen-antibody reactions, SelexOnTM screens for disease and checks status by qualitatively and quantitatively measuring biomarkers in human blood. 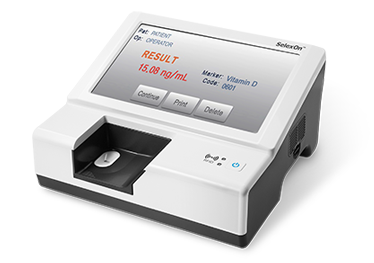 A POCT immunosensor based on antigen-antibody reactions, SelexOnTM screens for disease and checks status by qualitatively and quantitatively measuring biomarkers in canine and feline blood.